Roc Marciano is a hip hop enigma. I can't remember the last time there's been a MC that folk either love or hate cause there's literally no in between that I've seen when it comes to Roc. I mean I've literally heard some folk say that Roc is one of the dopest MCs in the game who helped to father the Conway/Westside Gunn steez. And then on the flipside I know a RACK of dudes who think Roc is straight up and down wack and boring as hell. Now for the simple fact that I'm checking for Rosebudd's Revenge 2" you should already know what side of the fence I'm on. But the real question is will "Rosebudd..." win over those folk on the other side of that fence? "Rosebud's Revenge" sets off with the Element produced banger "Respected" which as Roc breaking down how "ya'll grew up in houses, we grew up in housing", "Tent City" and "Corniche" featuring Action Bronson are both dope and the Animos produced "Bohemian Grove" featuring Knowledge is CRAZY and has Roc speaking on how's he's "with that white girl, he's in that sunken place." "Saks Fifth" has Roc borrowing Kim's infamous line "who you loving who you wanna be huggin" for the chorus, "Major League" featuring Knowledge has both MCs throwing bars back and forth & has Knowledge flipping drug references with MLB baseball teams, "see me out in Philly blowing phillies holding teks" and "Bedspring King" is kinda self explanatory but is still dope as hell nonetheless. "The Sauce" and "Kill You" are both STUPID, "Muse" shows how much Roc REALLY don't give a f*%k cause he's straight up rhyming over somebody singing in the sample how only him or Ghost could do while "Power" ends the album doper then 90% of these albums nowadays. But my two fave songs are "Happy Endings" and "67 Lobby" with the latter has Roc going in, "your shorty thought I was Demetrius Flenory, you niggas never put your feet in mauri/the Benz is cleaner but the Beamer's saucey, chains gleamin' but the ring's is frosty, speak to me softly/the price is high like a key of soft B, squeeze 40 out the two seater coffee And then I'm leaving shortly." After listening to "Rosebud's..." I realized that when we're listening to music, that we're all looking for something different from it to speak to us. And whatever those things are, end up being the reason we either like or dislike an album. For example, since I'm a producer I'm always going to listen to the beats first and foremost. And to break it down even further, it's not just about the beats it's also the samples that the producer is using. And the samples on "Rosebud's..." are ALL dope as hell! I mean...in all honesty there's not one beat on this album that I don't like. And I can't tell you the last time something like that has happened. Not to mention that Roc sounds dope over all of the tracks. Now I know some cats are saying "come on Kil, every Roc album sounds the same. Him just rhyming over loops with no drums" which may be true but don't the majority of cat's albums sound the same? And then when cats do switch up, we're giving them hell cause we don't like their new sound and what them to go back to doing what we loved. So in a nut shell cats can't win for losing in the streets huh? But to be honest it really all comes down to it whether you like the artist or not. Cause if you rock with them, then it's all good if every album sounds the same. But if you don't rock with them...then it's wack. So back to the OG question, will "Rosebudd's..." win folk over who don't mess with Roc? Nope, not at all cause they'll say it's the same ole album over and over and over again. 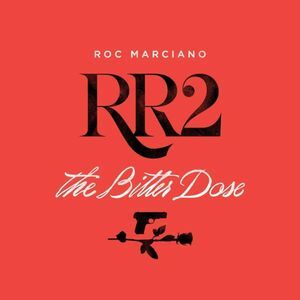 But for the folk who do mess with Roc, they'll LOVE this album. Just like they loved all of his other albums cause they all sound the same right?